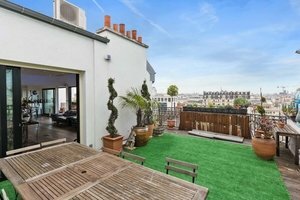 This premium showroom apartment is located in Bastille close to the Bassin de l'Arsenal. 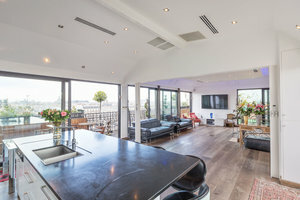 With 240 sq m divided over 2 rooms it is a flexible location ideal for Private Events and Showrooms. 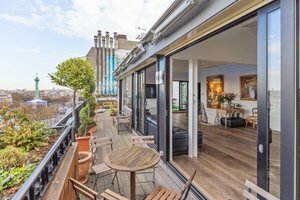 The space has an outdoor terrace with wonderful views of the city with a wall of windows that create a great open feel between the outside and inside of the apartment. The interiors are modern with an eclectic mix of furniture and art. 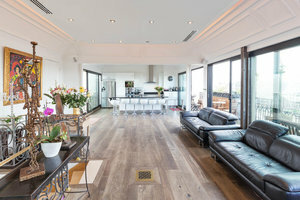 Advantageously located on a popular boulevard, this space is easily accessed and a welcoming space for private events.